I have seen this billboard, or one similar to it, a couple of times. I finally had to stop and take a quick photo because I think it reveals a problematic mindset. Your opinion may vary from mine, but I think that age 13 is far too late to be teaching our children about alcohol. I’ve never been into drinking. When I was younger, I didn’t see my parents do it – other than perhaps a single Fuzzy Navel or something at a wedding. My dad had more alcohol in the house than I bet 99% of American households, but he didn’t drink it; he collected unique bottles, cans, and miniatures. What I had witnessed in other people consuming alcohol was the change in their behavior, and it didn’t seem like something worthy of pursuit. Thankfully my parents backed those observations up with admonishments about what alcohol can do to people’s behavior and consequences to its use. Later, as I became an adult and my childhood love of motorcycles really took off, I definitely wanted nothing to do with alcohol. I used to say that alcohol was “against my religion”: motorcycling. This was, of course, before becoming a Christian. I simply knew that alcohol would severely impact my ability to ride, and that was unacceptable. Meanwhile, having accompanied friends to Shades or other bars or nightclubs, I couldn’t see a point to alcohol consumption or hanging out in places dedicated to it. I’m thankful for that too. The Bible warns about alcohol, in that “Wine is a mocker, strong drink is raging: and whosoever is deceived thereby is not wise.” (Proverbs 20:1) Based on my experiences above, and my convictions now as a Christian, I’m quite fine doing without alcohol or its effects. And I’ve never needed it to have a good time. Wow, I’ve really digressed, but I felt it important to give some background. 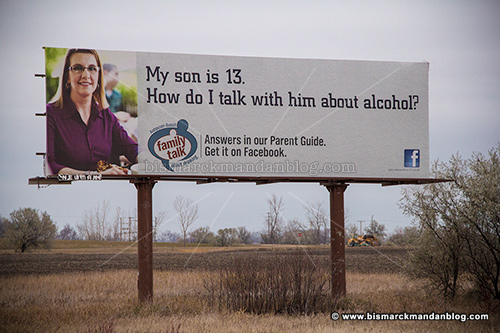 Now back to my original point: if you have convictions one way or another about alcohol, 13 is far too late to talk to your children about it. By then your behavior has probably influenced them way more than your words will be able to. If they grow up around people consuming alcohol, they’ve already formed their own perceptions. If they see it as perfectly acceptable behavior, good luck lecturing that out of them. Our children were told about alcohol, how my wife and I feel about it, and what the Bible says about it when they were around the age of four. They watch a kids’ gospel western show that has an episode devoted to it, and it sparked curiosity in them. Their questions prompted us to tell them our stance on alcohol consumption from a personal, practical, and biblical perspective. We train them on so many other things, alcohol is just one more part of the picture. At some point they’re going to be old enough to face those choices for themselves, and I’m not going to try to shelter them from that. In the mean time, I’m making sure not to squander the opportunity to teach them while they’re young, explain why we believe what we do, and help them apply that long with everything else we teach them. Frankly, by age 13 I’m sure many kids have already had exposure to alcohol. If they run into that at such a fragile age with no preparation by their parents they’re going to be at a far greater risk to make poor decisions. Peer pressure is all but unbearable at that age, so unless a child has a firm foundation it’ll be very hard to resist. I appreciate the well-meaning message of this billboard. I simply think its message needs to be applied much earlier. Parents leading by example will help reinforce the admonishment they give their children. With all our children face at the age of 13, they had better be well trained already. Otherwise they’re getting too little too late. This entry was posted in Expository, Signs, Logos, Typos by Clint. Bookmark the permalink.